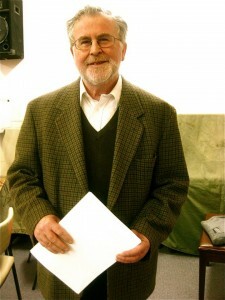 Peter Malone MSC was a member of the staff of YTU from 1972-1998. He taught Introduction to Old Testament, The Mystery of Christ, Introduction to Theology, Australian Theology, Media. He is part of the staff of the Heart of Life Spirituality Centre, Box Hill. He was editor of Compass Theology Review, 1972-1998. After serving as the president of the Catholic Film Offices of the Pacific (1989-1998), he was elected as President of OCIC (The International Catholic Organisation for Cinema) (1998-2001). When OCIC merged with UNDA (the International Catholic Organisation for Radio and Television) to form SIGNIS (The World Catholic Association for Communication), he was elected the first president (2001-2005). He has published articles and books on Theology, Spirituality and Cinema (and has reviewed films since 1968). Member of ACTA, Australian Catholic Theological Association.